We will be showing you how you can, as a fidelity bank account holder, get in touch with a fidelity bank customer care agent. As Fidelity bank account holder, you should have the phone of your bank’s Customer Care Phone Number saved on your phone. You also should know how to contact and chat with them on various social networking platforms that they are on. Fidelity Bank Customer Care agents are always ready 24/7 to answer any questions or inquiries you might have concerning their products and services. Some issues can be solved just by contacting their customer care while other cannot be solved over the phone. However, if the issues can’t be solved over the phone. They will instruct you on how to go about that. For example, if you are having problems with your BVN Number, which will require your presence at any of their branch closest to you. They Will direct you on how to go about it and the following documents you will need to get the issues sorted out. At your request, they can do the things like Stop Cheque, Block ATM card. They can also Assist you in setting up their mobile banking app, reversing a transfer of funds made but didn’t get to its destination or Send you your bank statement among other things. Please Note: No Fidelity Bank Customer Care will or should ask you for your sensitive/private data like ATM Card PIN, CCV number, ATM Card Number, BVN number or Mobile Banking App password/PIN. Please Do not divulge the aforementioned details to anybody over the phone. You can simply get in touch with one of their customer care representative 24/7 by dialing any of the numbers below. If you have an internet enabled device like a phone, tablet or PC then You can also Chat with them Live on their website or forward your complaints, Issues or inquiries to their email true.serve@fidelitybank.ng. If you’re on social media them you can tweet at them or send them a direct message on Twitter @FidelityBankPLC or Send a message on their Fidelity Bank PLC Facebook Page. Its always a good thing to have several means of contacting the customer care representative. You never know when you might misplace your ATM card or have your ATM card stolen. Or simply just need your bank statement for an urgent verification without going to the bank. 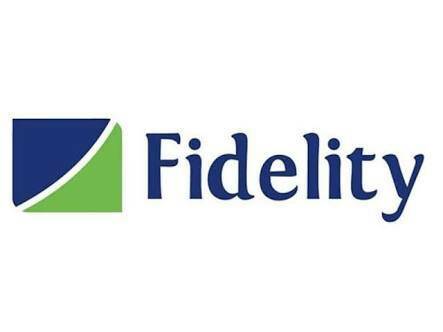 If you’ve got any questions concerning how to contact a fidelity bank customer care representative then do not hesitate to Drop a comment down below and we will be helping you in any way we can. Hello my name is Victor Godstime plss i’ll like to get a statement of account for December. salam sejahtera, bolehkah kita membuat aduan berkaitan dengan transaksi online di sini,?